Times Up’s victory in last year’s Doncaster Cup was a fitting send-off for John Dunlop, father of the seven-year-old’s current saddler Ed, and their Gold Cup chance at Royal Ascot could be primed for more success. That Group 2 score at Doncaster’s St Leger meeting in the autumn of last year marked an impressive seasonal finale. Having stepped up to tackle 2m2f in style he held off rival High Jinx for the second time in a row following on from last August’s Lonsdale Cup victory at York. The same opponent could yet reoppose Times Up at least once more. 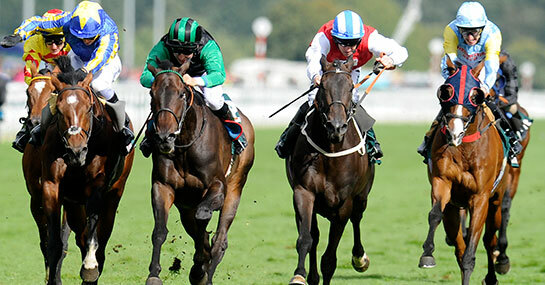 Before their June run at Flat racing’s most prestigious festival, the upcoming Henry II Stakes rehearsal at Sandown promises to unveil a host of Gold Cup clues, with many of the potential Ascot protagonists due to take part. And if Times Up can replicate the same kind of form that produced a flying finish to 2012 then his 10/1 odds for a memorable success in Berkshire could tumble. Dunlop’s Ascot hopeful was fourth to Opinion Poll in the Henry II last year, however he’s progressed well since then and deserves his place amongst elite company, especially when in the mood to chase home race leaders. However, the 6/1 recent Ormonde Stakes victor Mount Athos is a worthy enough entrant to head the Gold Cup market. But the son of Montjeu can’t match rival Times Up when it comes to one intriguing trend. Eleven of the previous 12 Gold Cup winners had won at least a Group 2 race, a box ticked by the betting outsider’s two most recent victories. Arguably, it’s Times Up who’s overcome classier rivals on his previous outings and even trainer Luca Cumani has said he’ll probably keep Athos campaigning at Group 2 and Group 3 level, with the Hardwicke Stakes a possible preference. Should that decision be final it would leave Ed Dunlop’s charge as one of the more enticing Gold Cup prospects, a race that could prove to be the zenith of a career for a horse approaching his peak.